As communication technology charges forward, it impacts more than just cell phones and laptops. Modern fire safety systems come with new features of all kinds, including huge benefits like wireless monitoring. Approved and encouraged by most fire departments, it’s a simple feature that adds significant safety for your home or business. As the cost of dedicated phone lines increases, maintaining one for your fire safety monitoring is becoming more and more of an investment. It also adds what is now unnecessary complexity. With wireless radio monitoring, simplicity wins; independent companies who provide phone, fire alarm and monitoring services are eliminated. 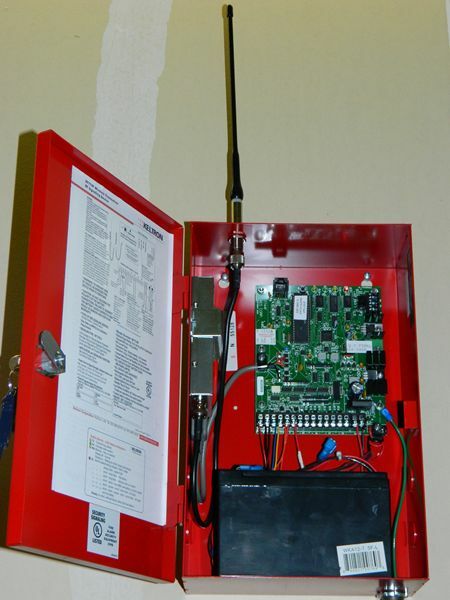 The decision to use a wireless radio to monitor your fire alarm system might just be the most difficult part of the process. Easy installation is available within 24 hours, and the compact radio is normally installed right next to your building’s alarm system control panel. No third party companies, no stress. The radio monitoring network watches over your system 24 hours a day. Wireless radio monitoring is designed to be reliable — and fast. Message delivery in less than two seconds, regardless of the conditions, is standard. In case of power failures, the radio comes with a battery backup. Your wireless radio can transmit its signal to the monitoring service in spite of extreme weather conditions or phone line failure, as well. Designed to protect your building for years to come, these systems are NFPA approved, UL listed, and warrantied for five years. The Fox Valley Fire & Safety team offers support and technical expertise to custom fit these systems to a wide range of applications, including campus facilities, industrial complexes, and municipal environments. For more information on wireless technology or to see how it could work with your system, contact our team today!